Desperate to have a cold shower and shrug all the worries I got from the travel that started in Cebu, I managed to proceed to Dambana ng Kagitingan in Mt. Samat even though I passed by Plaza Mayor de Ciudad de Balanga where The Plaza Hotel is located. When I arrived in Balanga City from Pilar, I immediately hailed a tricycle and enthusiastically mentioned The Plaza Hotel as my destination. The ten peso ride brought me to the best plaza I’ve ever been in the country, Plaza Mayor de Ciudad de Balanga. With its impressive façade inspired by Spanish colonial architecture, the hotel literally magnetized me to trace my way to the front desk. I arrived at the ground floor and was informed by the reluctant guard that lobby is located on the third floor. The wide counter, where smiling front-desk officers were waiting, welcomed me the moment the elevator opened. The lobby suggests very decorative furnishings with hints of contemporary design. Greetings from the staff echoed on the entire floor from the lobby to the adjacent restaurant. Checking in was a breeze because I was accommodated earlier than the standard time. What bedazzled me the moment I arrived in my room is a bathtub on-hand inside the ginormous bathroom. The white tub stands out of the ceramic tile and I immediately filled it with water and some liquid soap, a nice reward my body needed at that moment. When I submerged myself in the mild hot water, muscles started to celebrate that allowed me to get a snooze. Enough of that, the cozy room I got has a king-sized bed, not those usual twin beds merged into a bigger one, it was a legit king bed. 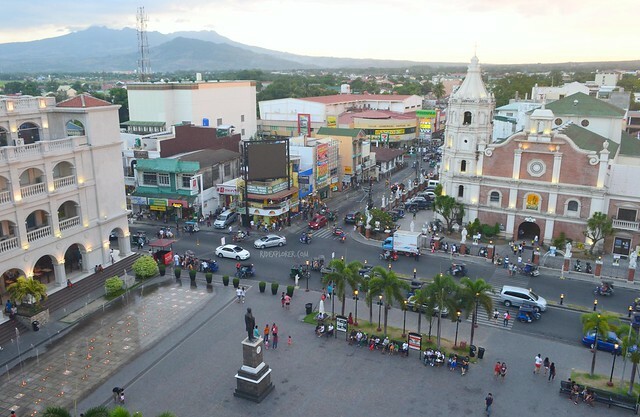 Apart from it, Room 401, a Plaza View Corner Room, provides view of the Plaza Mayor de Ciudad de Balanga being bordered by St. Joseph Cathedral, Balanga City Hall, Galeria Victoria, and the hotel itself. Most part of the room is carpeted, except for the vestibule in dark-colored tiles. Large closet is located on the left part of the passage housing a safe box. From that point is a luggage rack, coffee and tea making facility, working desk, and the cable-enabled television. The window, divided into two frames, offers a panoramic view of Plaza Mayor de Ciudad de Balanga. 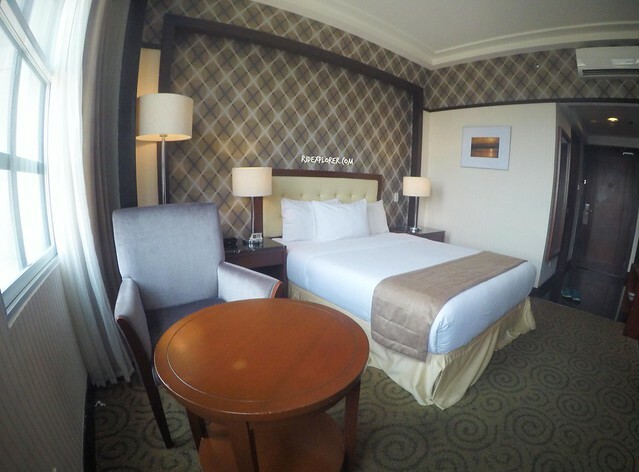 Back to the king-sized bed, it has three soft pillows that automatically go back to shape when you lift your head. The duvet, with its newly-washed smell, adds a very comfortable and cuddly vibe to the bed that offered a two-hour sleep that led me not to visit the historical landmarks in Balanga. Blame it to the very comfortable bed of my room. Toiletries from shampoo, soap, vanity kit, dental kit, and shaving kit were also available plus clean towels. The shower, also located on the tub area, is equipped with hot and cold water on handheld spouts. 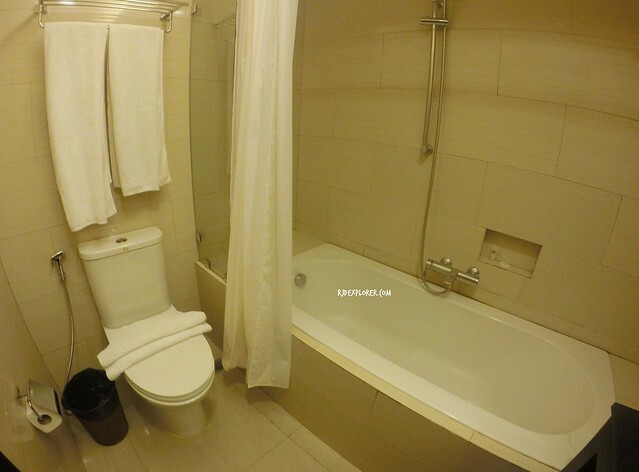 By the way, a bidet is also available. Room rates in The Plaza Hotel Balanga include a complimentary buffet breakfast for two. 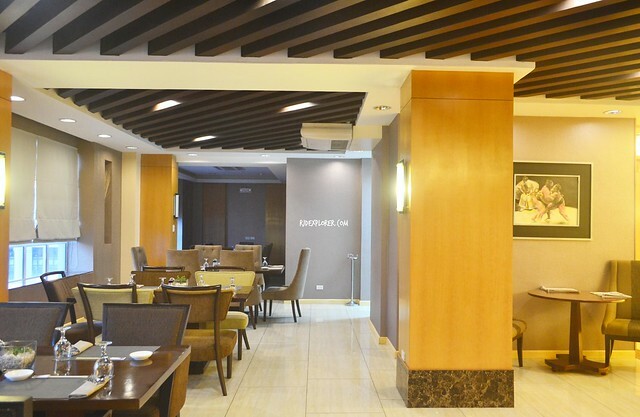 The function hall located at the right of the front-desk serves as the breakfast place for check-in guests. 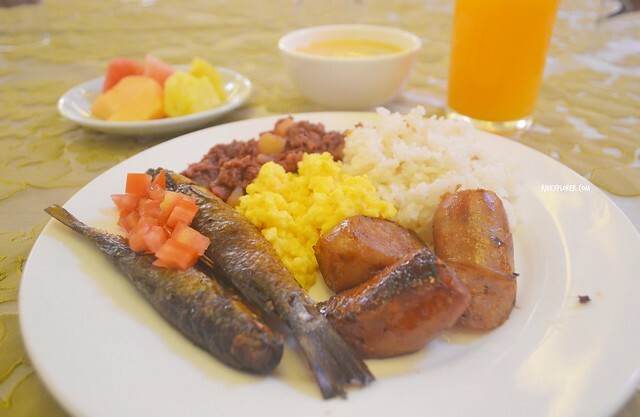 The spread features Filipino staples such as fried rice, longganisa (sausage), scrambled eggs, corned beef, and the famous Bataan’s tinapa (smoked fish). Soup, coffee, juice, and fruits were added on the buffet. Aside from the comforts a hotel offers to its guests, service is another thing that I meticulously look at. During my stay, the officers at the front-desk went beyond their limits by assisting and answering my questions regarding tourist and historical destinations in Bataan and also the means of transportation to utilize. When I asked how to get to Baguio City from Bataan, they even provided a print out of the map as well as the bus lines and schedules of trips. 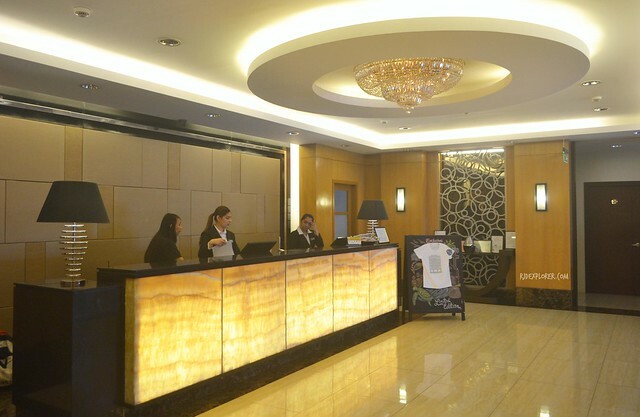 The Plaza Hotel Balanga’s front-desk staff are not only for first impressions but for impressions that really lasts. Lately, I really enjoy slow paced travel in the sense that my itinerary is not jam-packed for me to literally take a break and not forcing myself to explore every tourist spot on my destination. on my stay in The Plaza Hotel Balanga, the hotel joined me on my goal, I discovered historical landmarks of Bataan yet I also enjoyed cocooning inside my room, avoiding the blazing heat of summer. 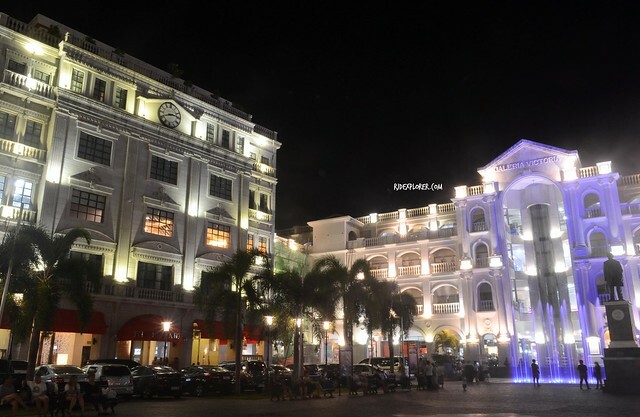 The iconic The Plaza Hotel Balanga offers an exclusive experience with its old-world charm and modern undertones. The hotel has a total of 34 well-furnished rooms with large flat screen TVs and complimentary WiFi connection. There are two function rooms available, one on the third floor and the other one on the roof deck. 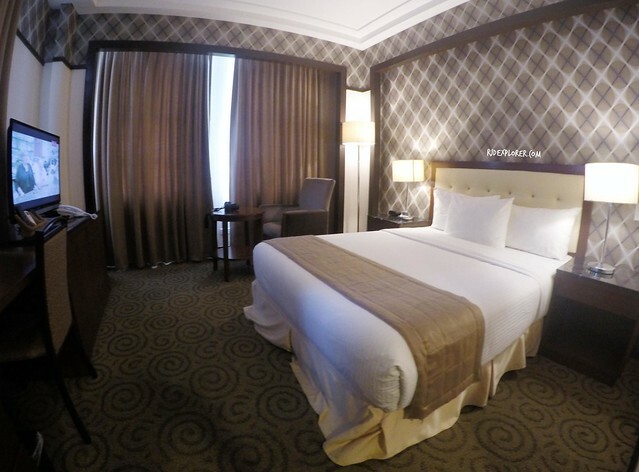 The rooms are spread into 8 room types: Executive, Deluxe, Premier Deluxe, Plaza View Deluxe, Plaza View Junior Suite, Maria Clara Suite, Ibarra Suite, and Presidential Suite. The Plaza Hotel Balanga’s in-house restaurant is Café Kyoto with Japanese themed menu offering sushi, ramen, katsu among others. 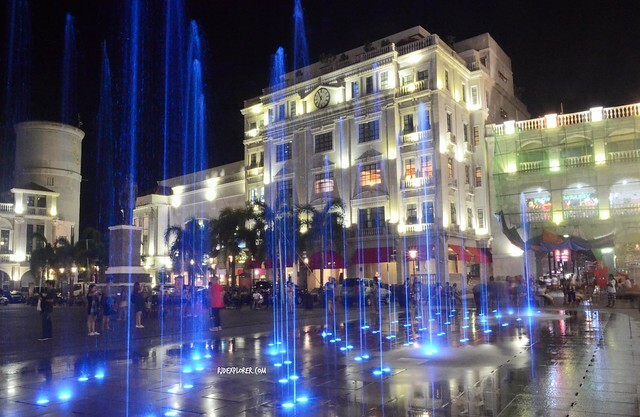 The restaurant also offers a grandeur view of Plaza Mayor de Ciudad de Balanga. Take North Luzon Express Way and exit via San Fernando exit. Proceed to Jose Abad Santos Avenue up to Bataan Roman Super Highway. 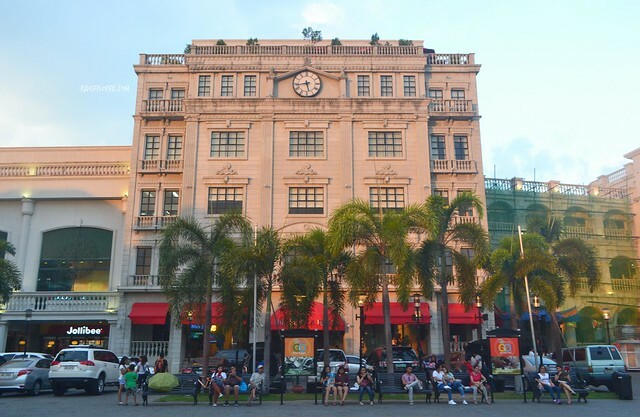 Turn left onto F Anacleto Avenue and turn right to Aguirre Street until you reach Plaza Mayor de Ciudad de Balanga. For commute, there are buses in Pasay and Cubao that go directly to Balanga. Another option is to take Mariveles bound buses. From the highway, take a tricycle ride to the plaza. 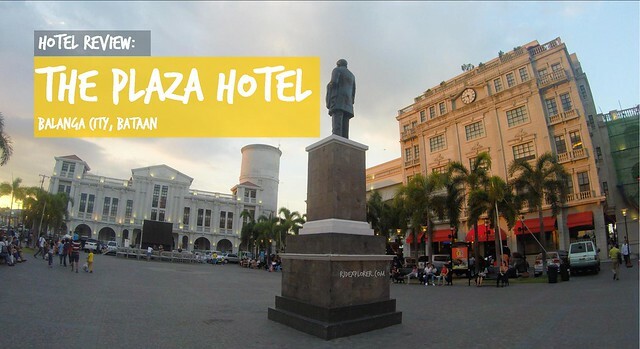 Disclosure: The blogger would like to thank The Plaza Hotel Balanga for providing a complimentary stay during his visit to Bataan last May 2016. The opinions expressed here represent his own and not influenced by the brand.